Galaxy Surfactants, a leading Indian processing company, has made supplying sustainable palm oil a core element of its current and future business strategy. India is the world’s largest importer of palm oil, buying nearly nine million tonnes a year. In addition to being one of the most important cooking oils, palm oil is used in Indian industries such as food processing, cosmetics and pharmaceuticals. But with palm oil production linked to deforestation and other challenges, sustainability standards have become increasingly important. Galaxy Surfactants Ltd. started its operations in 1980 as Galaxy Chemicals with a small facility in Tarapur, near Mumbai. It has become one of the leading manufacturers of specialty chemicals for the personal and home care industry. Over the past four decades the company has grown rapidly and currently has manufacturing facilities across India, Egypt and North America with a turnover of Rs.1800 crores (US$26 million), net profit of Rs.100 crores in 2014-15, and 1,130 staff. Galaxy’s product range consists of more than 100 products and product variants, such as surfactants, rheology modifiers and pearlizing agents. These are key ingredients in skin, hair, sun, oral, baby and home care products. For Galaxy, the most important input for its manufacturing process is palm oil-based derivatives. Galaxy supplies many leading multinational businesses. It is a certified preferred supplier to Colgate, a Star status supplier for Unilever, a Strategic Mind Partner with Henkel and a Green Channel Holder for Reckitt Benckiser. In 2016, Galaxy had over 1,000 customers in 100 countries. Its global presence includes offices in New Jersey, USA, Colombia in South America, the Netherlands in Europe, and Turkey. While global demand and consumption of palm oil is rising steadily, concerns have been raised about the sustainability of the production, sourcing and usage of palm oil and the by-products derived from it. Palm oil plantations in Malaysia and Indonesia are increasingly coming under scrutiny from international NGOs and developmental organizations for causing massive deforestation and biodiversity loss. Although there are no major palm plantations in India, the country is the largest palm oil buyer, so Indian companies are also being linked to these negative environmental impacts. 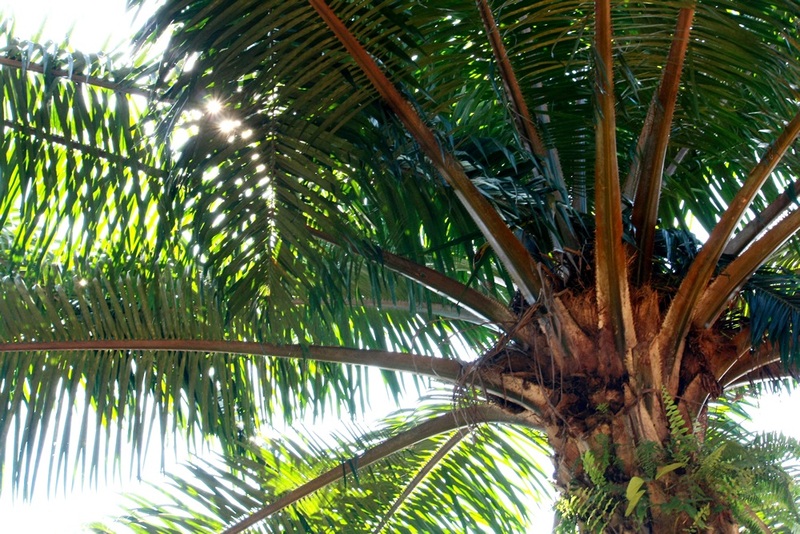 This has prompted many companies in both edible and non-edible palm oil supply chains to recognize the importance of addressing sustainability concerns, and adopt standards and certification to operationalize their sustainability agenda. The most significant international sustainability organization in the palm oil sector is the RSPO. It prescribes standards and processes agreed upon through a participative mechanism, the roundtable, and monitors progress through self-reporting and regular third party audits to ensure compliance. The RSPO systematically tracks processes in the palm oil supply chain starting with palm plantations right up to the end consumers, encompassing all the stakeholders in the value chain. This process is important as palm oil passes through a large number of processors, from mills through transporters and refiners to end users. The sustainable palm oil from different certified sources is tracked separately from ordinary palm oil throughout the supply chain by companies holding chain of custody certification. In 2012, following discussions with its customers, Galaxy became a member of the RSPO and progressively started adopting ‘mass balance’ chain of custody certification for its manufacturing facilities. The mass balance system allows certified and non-certified palm products to be mixed, but the volumes of each are strictly traced and recorded, making it a significant step towards having a fully segregated supply chain for certified sustainable palm oil. Starting with a single site certification, all facilities in India were certified by 2014. Galaxy’s new facility in Egypt was certified in March 2015, completing certification of all its palm oil and palm kernel handling facilities. Galaxy has promoted certified surfactants to its customers, enabling them to participate in this sustainable supply chain. It has begun the production and sale of mass balance-based surfactants to key customers across the globe. In 2014-15, it procured more than 500 tonnes of RSPO mass balance certified material for its products. “As a global company, we wanted to be ahead of the learning curve,” comments Mr Sriganesh, Galaxy’s head of sourcing. “We started in earnest by becoming a member of RSPO in 2012. We also were getting feedback from the market in general and our customers in particular that consumers were increasingly demanding products that can be labelled under ‘Responsible Care’.” Galaxy became a signatory to the Global Charter for Responsible Care in 2015. Mr Sriganesh identifies three major drivers behind Galaxy’s strategy. “Firstly, an unsustainable supply base will not give us business sustainability. Secondly, key customers have a target to have traceable supply chains by 2020-2022. And thirdly, differentiation in capability from competitors who lag behind will give us an advantage when approaching a customer. “These are full-scale efforts linked to the core activities of Galaxy’s business,” he adds. “Most markets do not have any legislation for this, hence it is a self-inspired agenda.” Galaxy’s sustainability agenda is driven by a team of senior management personnel including the MD and the COO. The Sustainability cell sets the overall strategy and plans and implements organization-wide initiatives through monthly review meetings. “Our efforts towards RSPO were natural for us,” says Mr Natarajan, COO of Galaxy. “We are into it not out of fear but on our own accord. Global challenges like climate change can’t be resolved with private, standalone solutions. These need a collective solution." Nevertheless, Galaxy’s business has benefited from RSPO certification. Once the company embraced RSPO standards, Galaxy saw its turnover double in that segment compared to stable growth on other product lines. From selling just one certified product on a small scale two years ago, the company has expanded into multiple products that are now sold across multiple continents. The certified oil comes with a premium that is passed on to customers, but this premium is not the sole driver for the business growth. Although the certified palm oil business is still comparatively small compared to its overall business, demand is growing steadily along with awareness among customers. As the first company to have certified plants for palm oil in the South Asian market, Galaxy enjoys the status of first mover. Being capable of supplying certified products to more than 1,000 customers across the globe gives the company a differentiated position in the marketplace. India is the largest consumer of palm oil, so initiatives such as RSPO are highly significant to build credible green supply chain businesses for the Indian and global fast-moving consumer goods (FMCG) market. There has been rising interest in the RSPO. The number of Indian RSPO members increased over five times from 2011 to 2012 comprising leading players within the palm oil sector in India, primarily in the palm oil processors and traders category. While multinationals with Indian footprints Hindustan Unilever, Wal-Mart and Cargill, and companies like Galaxy that supply international customers, have led the transformation, other Indian companies are beginning to follow in their footsteps, including in the domestic market. Considering the current barriers and challenges in a price-sensitive market like India, this positive development signifies the rising consciousness on the need for the industry to move towards sustainable palm oil. “We are very pleased to see this positive trend,” says Darrel Webber, Secretary General of the RSPO.